Space is filling up with junk. "It's not like there's a storm of metal and if you venture into space you're going to get clobbered," says Professor Russell Boyce, Chair of Space Engineering at UNSW Canberra. "But the risk of collisions is increasing." The US Air Force Space Command tracks more than 20,000 pieces of debris larger than 10 centimetres wide. As sensors improve, Boyce suspects that number could reach more than half a million. The remnants of old satellites and spacecraft, these metal fragments career blindly in orbit at a blistering 7.5 kilometres per second. Impacts at these hypervelocity speeds would not only render vital space assets irreparably damaged, they could trigger a domino effect of destruction referred to as the Kessler syndrome. In this scenario, each collision would create more debris, causing ever more collisions until the space environment becomes akin to a minefield, off limits to human activity for decades or longer. To avoid this catastrophe, researchers around the world are working to improve our abilities in space situational awareness (SSA). That is, the capability to view and accurately predict the behaviour of objects orbiting Earth. UNSW Canberra has made a $10 million investment over five years to establish the foundations of a next-generation Australian space program. Boyce is its leader and says the program is already reversing the brain drain in space R&D that has plagued Australia for decades. The program recently has secured more than $562,000 from the ACT government under the Key Capability Area Funding Program to build new infrastructure; is on the cusp of signing a $10 million contract with the Department of Defence; and is quickly developing the capability to design, build and fly small satellites with"disruptive" payloads. Each will meet strategic national priorities and have specific objectives that meet national needs – ranging from climate change monitoring to secure quantum communications and SSA. Despite international efforts to track debris, there are still sizeable gaps in our understanding of how these objects behave in space. Depending on an object's size or shape, tracking systems might only have "eyes" on it for seconds at a time, says Boyce. The job is to then predict the orbit and re-acquire the object down the track. "But the uncertainties in predicting the orbits are significant. Objects can drift sideways and up and down by kilometres each day," he says. In the rarefied atmosphere of low Earth orbit – altitudes between about 300 and 2,000 kilometres – space objects slam into various molecules, atoms and ions, with the effect building up to cause significant course deviations. "The scientific community predicts the influence of these impacts quite badly," says Boyce, and the result is that orbits and possible collisions are also predicted badly. This is when debris poses the greatest risk, as surveyors are unable to warn satellite operators with any certainty if their spacecraft are in the firing line. Boyce and his team want to remove the guesswork. They have built a code to model the forces that charged ions exert on space objects. "The normal assumption is that charged particles have exactly the same effect as neutral particles such as atoms and molecules in causing drag," says Boyce. "But that's not true at all. "We're starting to open up a new field of flow physics, and to show some of the possible sources of anomalous behaviour that nobody has been able to explain before." With a fleet of small spacecraft soon under its command, the team will be able to get "real validation data in orbit". Australia relies critically on space-derived data, for everything from national security and disaster management, to environmental monitoring and resource mapping, yet it does not have sovereignty over obtaining that data, says Boyce. "Australia is seen increasingly as freeloading in the international sector," he says. "We get all of our data more or less for free and that has been a happy situation for us. But that is slowly coming to an end." A domestic space capability, Boyce says, could open opportunities for Australia to capture part of the exploding space market, which generated an estimated US$300 billion in worldwide revenue in 2014, according to a report by the Space Foundation. Waking from a period of relative inaction, the federal government – in late 2015 – called for a review of the Space Activities Act, and has started removing regulatory hurdles that prevented Australian entities from launching satellites and operating in space. One of the first beneficiaries was a STEM education start-up called Cuberider, co-founded by UNSW engineering student Solange Cunin. In December, it launched the country's first payload to the International Space Station. 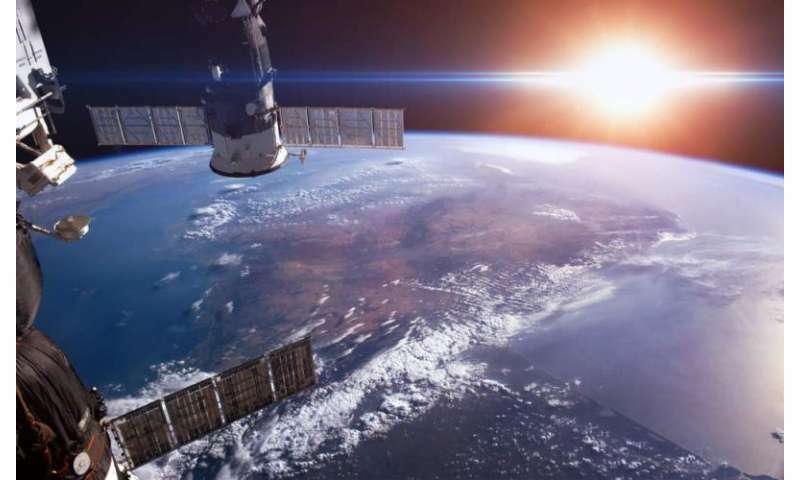 "Over the past couple of years, the national conversation in Australia about space has changed completely," says Professor Michael Frater, UNSW Canberra Rector. "What we're seeing now, throughout government, is an understanding that it is critically important for Australia to operate in space, both from a security point of view and economically. We take some credit for that. "We want Australia to have a really vibrant space industry that includes significant activities in space and we want to have a leading role in making that happen." Two years into the five-year plan, the initiative is ahead of schedule. Boyce says: "We now have the biggest space capability of any university in the country, and the biggest space team", including a handful of homegrown space scientists and engineers brought back from overseas. "I would say it's the most comprehensive collection of space talent in Australia for space missions, development and operation." Dr Tony Lindsay, who worked with the Defence Science and Technology (DST) Group for 28 years and is now the director of Lockheed Martin's STELaRLab, says Boyce and the leadership team at UNSW Canberra have demonstrated they understand the paradigm shift in opportunities for Australia presented by the rise of small satellites. "Their greatest virtue is they've been decisive. They realised the world was changing,that Australia had a significant level of latent capability in the area, and they've moved rapidly to take a lead position within the community. They collaborated early to take advantage of Defence's existing programs, and demonstrated they could put together a quality team in a short time." Eight spacecraft are currently planned through UNSW Canberra Space, with five fully funded. The first, set to fly in mid-2017, is part of the Buccaneer Program with the DST Group. In addition to improving SSA capabilities, this small satellite will perform calibration experiments for Australia's world-leading, over-horizon Jindalee Operational Radar Network (JORN) from low Earth orbit. Three spacecraft are planned with the Royal Australian Air Force (RAAF), and another with the UK's RAL Space that will use special laser sensors to detect methane content in the upper atmosphere, making valuable contributions to climate science. 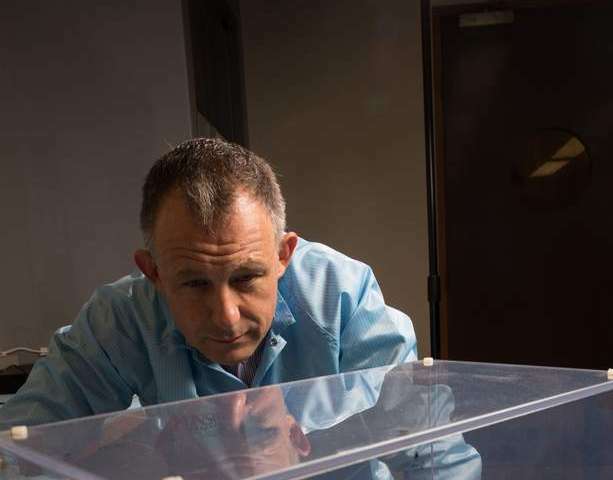 A development that Boyce and his team are very excited about is their road map to launch satellites equipped with Australian-developed quantum technologies. These include cold-atom sensors for ultra-precise measurements of time, positioning, acceleration and gravity, in development at the Australian National University (ANU), and quantum communication technologies, which will relay ultra-secure information via light, either between satellites in space,or between satellites and ground stations. Stage one is a 'pathfinder project' with the National University of Singapore, which already has space-ready quantum hardware, says Boyce. "Together we are setting out to be the first to demonstrate in orbit, the exchange of quantum-encrypted information from one spacecraft to another, and to see how far apart we can get the spacecraft and still maintain that secure link." Pending the almost-finished feasibility study, and then securing funding, the mission could fly in 2019. 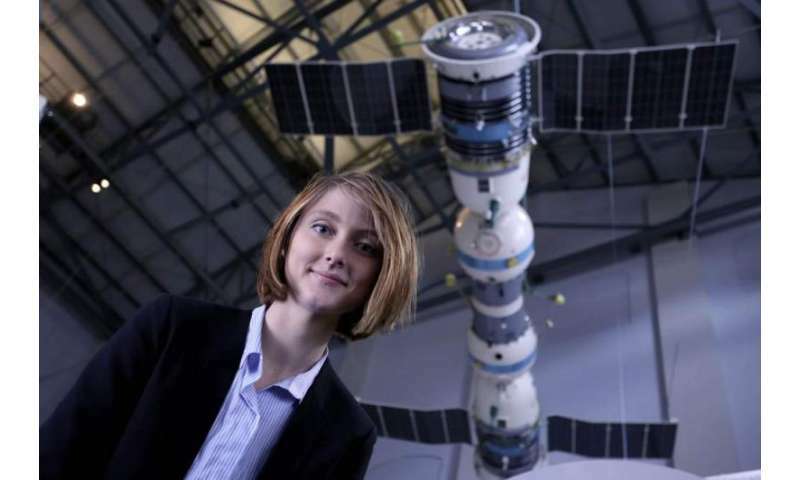 In addition to its planned missions, UNSW Canberra has launched two new degrees, a Master of Space Engineering and a Master of Space Operations. It is developing a ground station for sending and receiving quantum-encrypted communications,and is building a state-of-the-art space mission design facility. This will streamline missions, and serve as a training hub for partners from industry,government and research institutes. "We'll be the host of a national facility, at the front end of, hopefully, every space mission that Australia does," says Boyce. "That puts UNSW in a very strategic position." The skies were always beckoning for Boyce. Growing up in Papua New Guinea and Sydney, he dreamt of becoming an RAAF pilot. When flying fighter jets was out of reach, Boyce took up a Bachelor of Science at ANU, earning the university medal in physics. He stayed on to complete a PhD in hypersonics – the science of air and spacecraft travelling significantly faster than sound, at speeds above Mach 5. His first academic post was at UNSW Canberra starting in 2001, and he squeezed in some flight training, getting to the point of flying solo. He says the experience gave him "street cred when teaching aerodynamics to the ADFA top gun cohort." 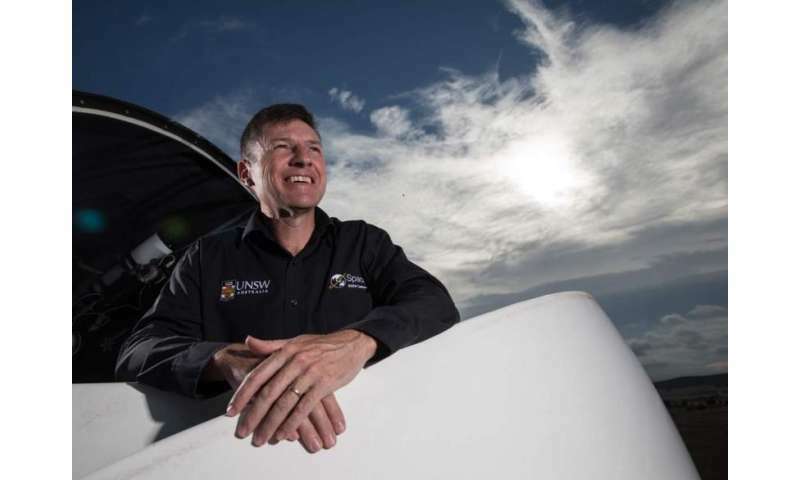 After nearly seven years at UNSW Canberra, Boyce took up the Chair for Hypersonics at the University of Queensland, where he would eventually become the director of SCRAMSPACE, the university's $14 million international program to build and test-fly a hypersonic scramjet engine. It was a groundbreaking, yet ill-fated project. The scramjet payload launched from a Norwegian rocket range in the Arctic Circle in September 2013. Almost immediately after take-off, Boyce knew something was wrong. The rocket was supposed to carry the scramjet to an altitude of 350 kilometres, where it would begin its descent. But at just 1,500 metres the rocket began wobbling violently, bleeding a spiral of white smoke. "When I looked up all I could see was this corkscrew pattern, and I instantly knew that was the end of the flight," says Boyce. Minutes later, the scramjet payload took a nosedive into the frigid sea, only a few kilometres from the launch range. The team learned in the aftermath, that their test flight was hijacked by a faulty motor in one of the rockets. The scramjet was ready to fly, evidenced by the data it collected, but a stroke of bad luck beyond the team's control meant it was never able to hit max speed. A few months before the launch, Boyce had attended a workshop as the Chair of the Australian Academy of Science's National Committee for Space and Radio Science. The keynote speaker was the mission lead for SSA with the US Air Force Research Laboratory. He posed that the erratic behaviour of space debris was one of the grand challenges facing the use of space, and required people to "step up" to devise a "high-fidelity, physics-based" solution. "I found myself realising this is exactly what I do with hypersonics – it's just with higher speeds and higher altitudes," recalls Boyce, who then applied for the Chair of Space Engineering at UNSW Canberra and was hired to start shortly after SCRAMSPACE. For Frater, Boyce was an obvious choice: "To direct a program like this, you need someone who is leading in terms of the research they do, but is also able to build the networks required in order to do something big and ambitious," says Frater. "Russell is the absolute ideal person to lead the team." There is a lot riding on Boyce's shoulders, but he only has guaranteed funding to 2019. Beyond that, he needs to make sure UNSW Canberra Space is self-sustaining. The $10 million windfall from Defence is encouraging, and more contracts could be in the pipeline, but there is a delicate balance to strike. While he is focusing on strategic partnerships, Boyce does not want his team to operate like a consultancy firm and risk losing intellectual property. "We're playing more of a long game so we can end up being more equal partners in space missions, rather than feeding from the scraps off the table," he says. "This is about more than just UNSW Canberra or any one mission," he says. "It's about building a sustainable domestic space capability, being able to do it with our own hands, rather than leaving it to others." Exile is not a word you often hear in the context of university education, but that's exactly the tag that space systems engineer Douglas Griffin, the spaceflight programs manager at UNSW Canberra, found himself labelled with after his PhD in hypersonics in 1995. After receiving his doctorate from the University of Queensland Dr Griffin was told by his supervisor, the eminent Professor Ray Stalker, that if he "wanted to stay in high tech he had to go overseas". "He actually used the term 'self-imposed exile' – because there was nothing for me in Australia," Griffin recalls. With his sights set on space, he went to Europe and spent three years in Italy at a government lab and private firm, now owned by Thales. In 2001 he moved to the Rutherford Appleton Laboratory (RAL Space) in the UK, where he led the development of cameras for the European Space Agency's largest astronomy space telescope, and for the agency's Solar Orbiter, which will get inside the orbits of Mercury and Venus to snap some of the most detailed images of the Sun. It was something of a "career gamble" to return to Australia where "space had been non-existent" but he was compelled by "the vision that Boyce painted". "These are not just toy missions, done for the sake of building a spacecraft," he says. "These are real space missions with interesting objectives." "Russell is a big picture person – what he does so well is inspire a vision and communicate it to people,and he gets them to buy into it. That's one of his strengths."